by Phoebe This is Ellie. She is 3 and 3/4 years old and lives in Delaware. I met Ellie in Philadelphia when she came to our book signing at Loop yarn shop. Ellie's mother is a knitter, and Ellie was very eager to have her very own Phoebe Mouse just like me. (So eager, in fact, that she carried her Phoebe Mouse everywhere before she even had any face sewn on!) 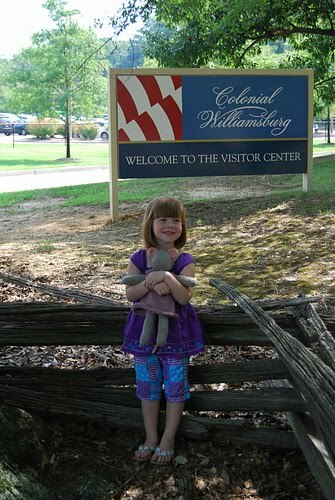 If you look closely at this photo of Ellie at Colonial Williamsburg you can see her cute little faceless and well-loved knitted doll. Ellie even brought her Phoebe Doll out before she had her ears finished, which was maybe a good thing as this was during the firing of the cannons and the muskets, which was rather loud, I hear! 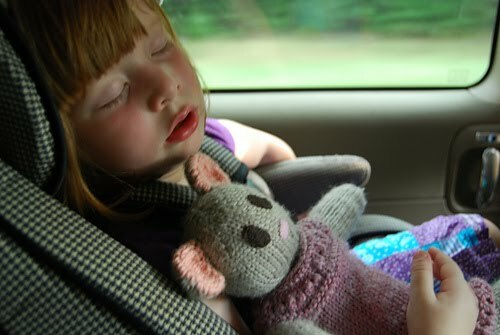 After Ellie and her mother went to the fabric store for a bit of felt for the doll's face, Ellie's Phoebe Mouse was lovingly and carefully finished. 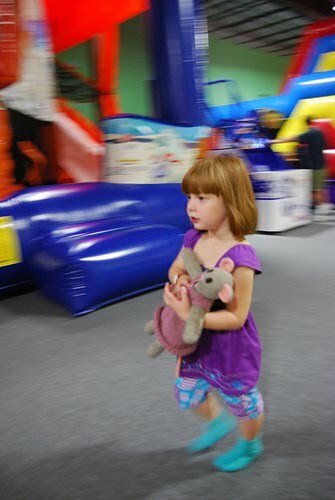 Here you see the completed Phoebe Mouse, at a very fun and exciting place where you can bounce and slide and play all day long! And so, after a long and exciting adventure... Ellie and her completed doll are ready for a little nap, and, from what I hear, a new little knitted sweater- just in time for fall!